Our web site allows you to easily search all active listings in every North Shore Community. The listings are a direct feed from the MLS and are more accurate and up to date than the information you'll find on the big real estate websites and portals. It allows you to receive Daily Email Alerts of new real estate listings and price changes of properties that meet your search criteria. You can also save multiple searches with unique names and save favorite properties to track. See our community pages for detailed information about neighborhoods, schools and amenities. We have lots of tips and helpful advice about home buying here. 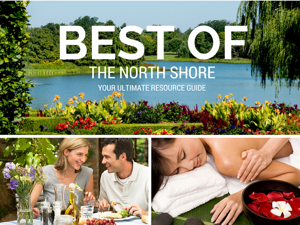 Planning to relocate to the North Shore from outside of the area? Take our Tour of the Shore to familiarize yourself with the communities, neighborhoods, schools and home values. Selling Your North Shore Home? Go here for great advice on selling your home for more money. Real estate on Chicago's North Shore is our specialty. Whether you are buying or selling, the Come Home North Shore Team is dedicated to providing you with a positive and rewarding experience. Call us at 847-881-6657 or email us at ComeHome@cbexchange.com for more information or to set up a buyer or seller consultation. Check out our blog for all the latest on schools, communities, events and real estate info.